What to look for when buying… a Performance Management Solution! Customer feedback software is as popular as ever as organisations strive to better understand how to improve their service proposition; but what many companies forget is how effective the tool can be when trying to motivate, monitor and develop their teams. Simon Thorpe explores this issue here. Bright UK Launches New Website! This month we are proud to launch our new streamlined website. 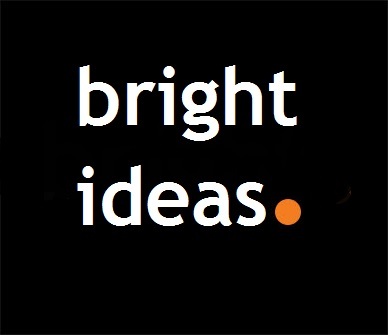 Now easier to use and still packed with all the same great news and insight from Bright. Please feel free to have a look around and leave us any feedback via the contact us page. Bright’s Richard Beard takes a look at shrinkage in Call Centres and how this can be managed. New Joiner – Michael Lynch! Bright welcomes aboard a great new addition to the team in the new year in the form of Client Relationship Manager Michael Lynch. Michael will help existing clients improve through the use of our tools, analysis and his own expertise. Most recently he held a position as Contact centre manager for outsourcer HGS, and previously to that customer service manager roles in his native Australia, as well as finishing his MBA. Find out more and say hello to Michael here! New Joiner – Ashley Williamson! We are also happy to announce that starting in january 2015 Ashley Williamson will be joining Bright in the form of a new Business Development Manager. Ashley has a strong background in the Call Centre industry and most recently held management positions at Mopinion and UBM. He will analyse client needs and create appropriate improvement plans for them to narrow the gap to best in class. Find out more and contact Ashley here! 2 minutes on…increasing contact centre sales in 6 simple steps! Most organisations would like to increase their sales on inbound calls but are wary of recent PPI scandals and Ofcom fines for high pressure sales methods. In this paper we look at increasing sales without treating customers unfairly, how to optimise the chances for your advisors to upsell and how to create a self-improving sales organisation. Bright Launches – Tablet Surveys! Further development of the Bright Navigator suite will now allows customers to complete and send surveys straight from tablets that can be set up in-store or on site. Allowing for more invaluable, almost instant feedback from your customers as they shop or deal face-to-face with your staff! Launch of the Gold Standard! November saw the release of a brand new initiative within the Contact Centre industry – The Gold Standard. Launched in partnership with the CCMA the Gold Standard is a new accreditation designed to raise customer satisfaction standards across the nation. Everyone from Bright, old and new wishes you a very merry Christmas and a happy new year!